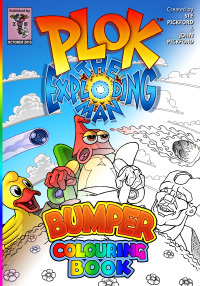 This 60 page volume is packed with drawings to colour, ink and add your own captions to, all taken from the first two volumes of the Plok comic strip. Colour individual panels, blown up to full page size, then add your own funny captions once you've finished, or try your hand at colouring in full page covers, posters, or even dozens of individual sound effects. 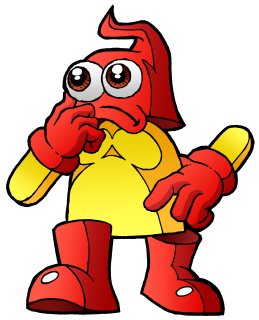 In addition the book contains six pages of pencils - both comic strips and covers - to practice your inking on, and a special page to design your own Plok character in pixels. 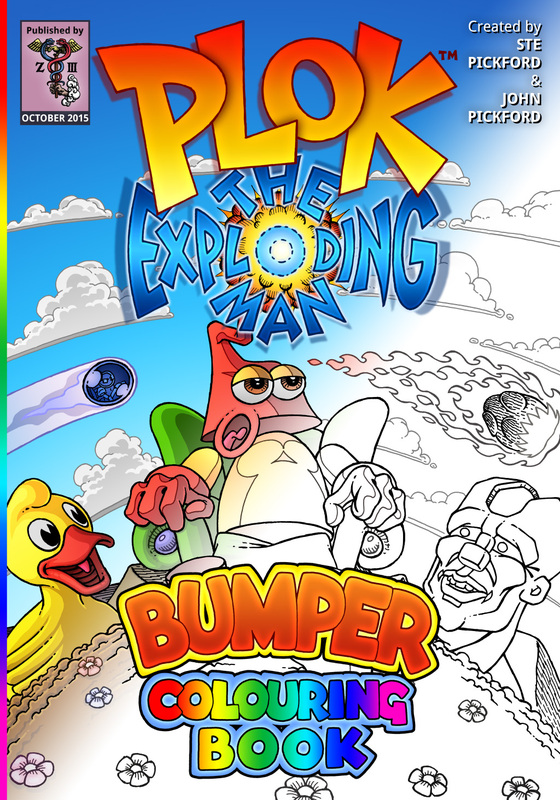 The Plok Bumper Colouring Book is the perfect gift for anyone who enjoys drawing, reads comics and plays video games, no matter what their age.